Star Wars Day is a fully-fledged Star Wars holiday that is officially celebrated once a year. The idea of a holiday was not created by Lucasfilm, but the film company has fully embraced the day in the spirit of fandom! Ultimately, the day was created by the fans for the fans. Fans choose to host movie marathons, dress up in Star Wars attire, and host parties on 4 May, every year. The phrase, ‘May the 4th be with you’, is a clever play on words. If you are not familiar with the franchise then you may like to know that the original line in the movie is, ‘May the force be with you’. The use of ‘May’ and ‘4th’ in one sentence is a clever play on words. The wordplay therefore perfectly lends itself to the special occasion! This year, NetFlorist has chosen to embrace the world-renowned Star Wars Day. 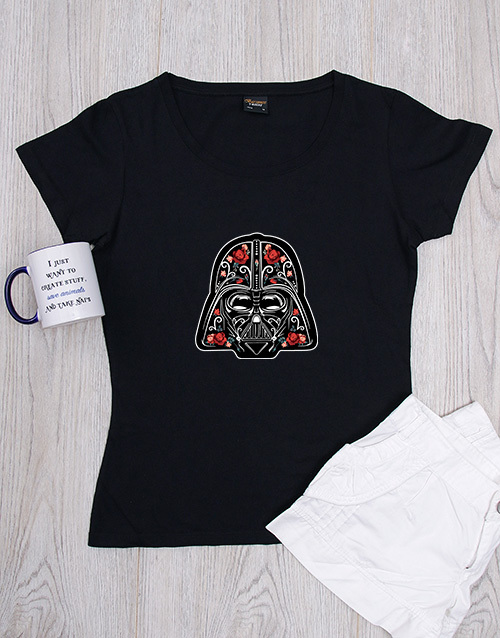 Our site is populated with various themed gifts, perfect for fans of the Star Wars culture. Here are our top 10 picks for the special day. Place your order online today for Star Wars gift delivery across the country! May the force be with you this Father’s Day! 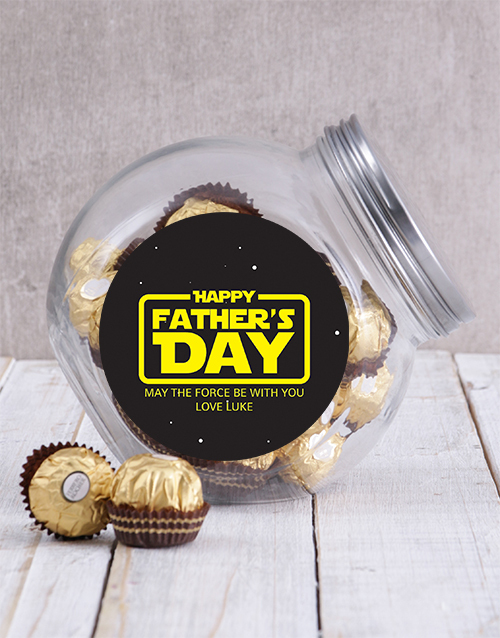 Surprise your dad with this sweet candy jar, which has been personalised with a unique ‘May the force be with you’ sticker. The candy jar is filled with either an assortment of Lindt truffles(30), Ferrero Rocher chocolates, or mini Bar One chocolates. R2-D2 would be really proud of a mug like this! 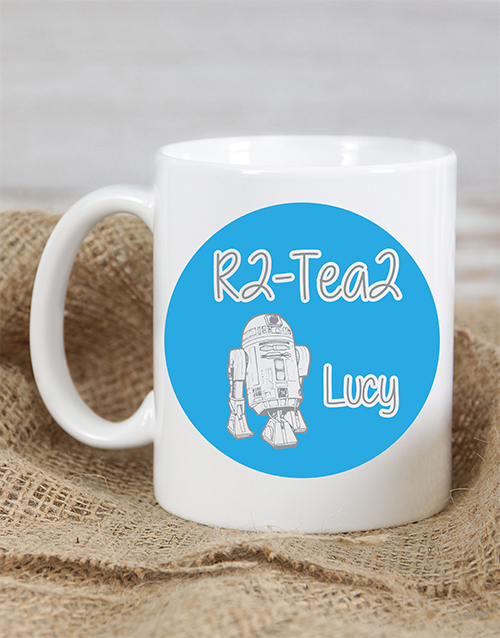 Impress the Star Wars fan in your life with this adorable R2-Tea2 mug design, which is personalised with the recipient’s name. The cute gift is undeniably punny! 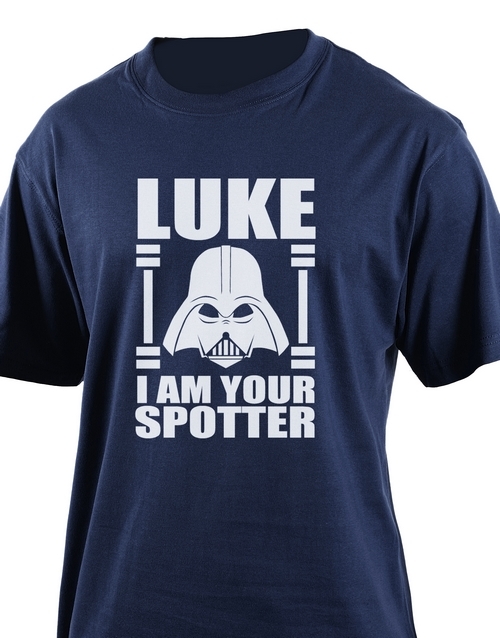 Surprise someone special in your life with this awesome t-shirt with a unique ‘Luke I am your spotter’ design. The t-shirt is also personalised for that special touch. *Available in small, medium, large and extra large. 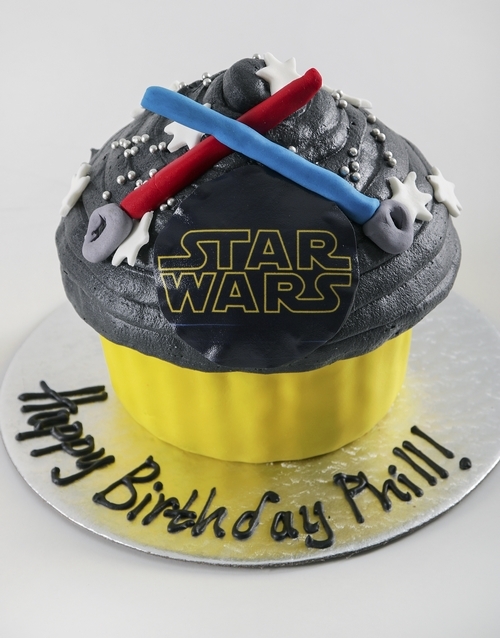 Star Wars fans will just love this Star Wars Giant Cupcake, no matter their age! A giant vanilla sponge cupcake is covered in fondant and is detailed with butter icing. Star Wars decorations made out of fondant, top the cake. To make it even more special, the cake can be personalised and it comes presented in a black luxury keepsake box. Allergens: wheat, gluten, cow’s milk, egg, dairy. All our products are Halaal. 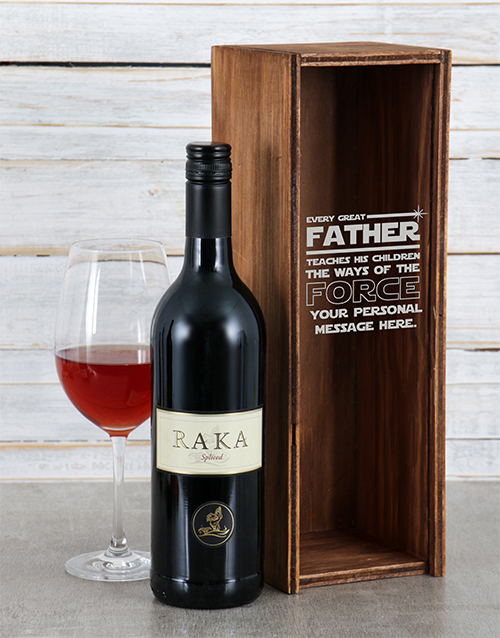 Spoil your father, who knows the ways of the force, with a bottle of Raka Spliced (750ml). The bottle of fine alcohol comes presented in a wooden crate with perspex lid, which is engraved with an amazing ‘Ways of the force’ design. It’s also personalised with a message, making this one special gift for him! 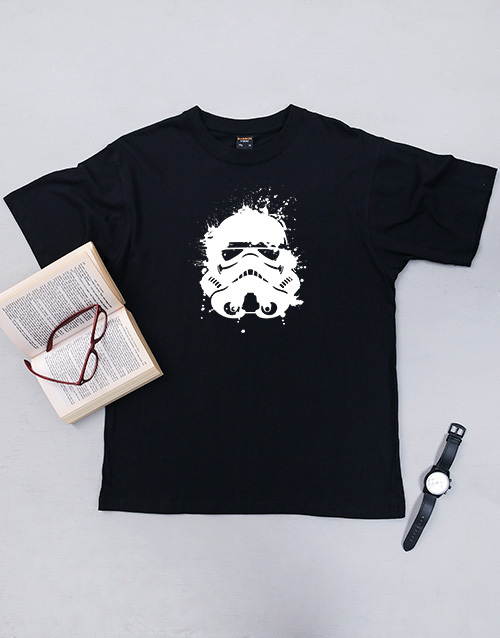 Make that Star Wars fan’s day with this black men’s t-shirt, which features a cool Star Wars design. This is a great personalised gift for him! *Available in small, medium, large and extra large. If the man in your life loves his music, all things Star Wars and craft beer then this is the perfect gift! 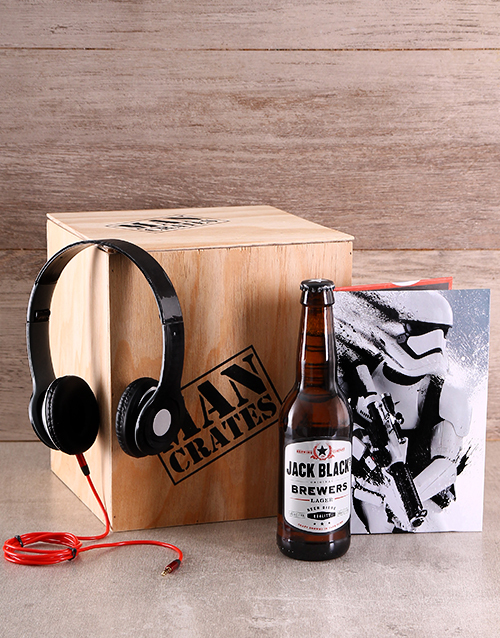 The Stormtrooper Man Crate contains an ultra cool Stormtrooper Notebook, a CBC Lager Craft Beer, and Reverb Folding Headphones, which is presented in the coolest man crate. He’ll be able to enjoy his craft beer, whilst listening to music and writing in his notebook. Spoil him with this amazing man crate filled with hours of entertainment! Have this coffee trooper bro bucket delivered to the ultimate coffee lover! 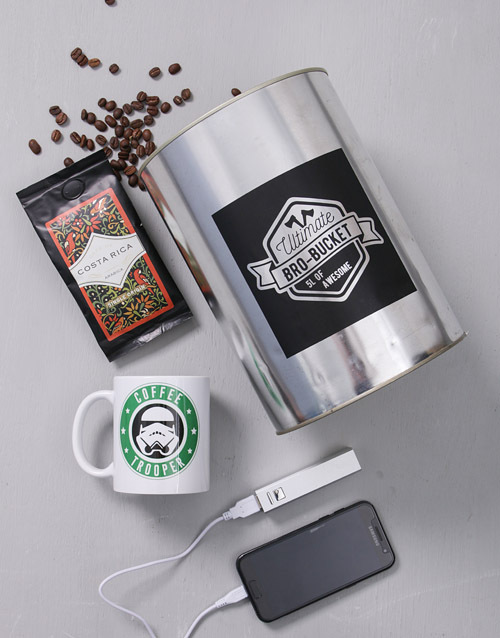 The bro bucket includes personalised ‘Coffee trooper’ mug, 100g Mexican coffee beans, a powerbank with the capacity of 2200 mAh, a USB and a Micro USB cable. The powerbank has a lithium-ion battery and it comes in an aluminium casing. Place your order and have the unique gift for him delivered next-day, countrywide. Spoil the ultimate trooper with a black ladies t-shirt, which features a unique personalised floral trooper design. It is undeniably the perfect Star Wars gift for her, for any occasion. *Available in small, medium, large, and extra large. Brace yourselves, the storm pooper is here! 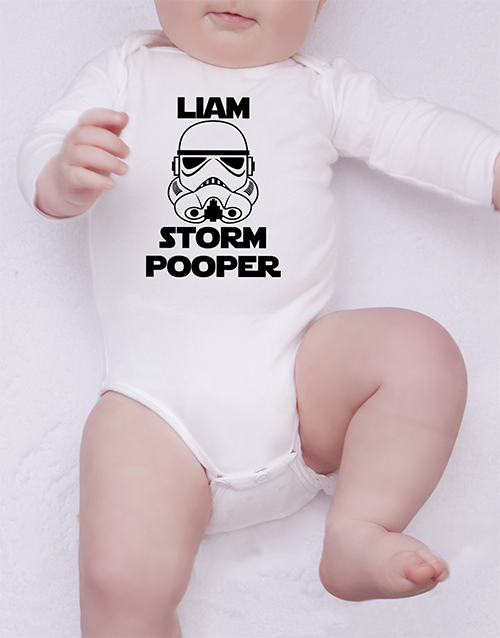 This white long-sleeve 100% cotton onesie features a cute ‘storm pooper’ design which can be personalised with a name. This unique baby gift is perfect for a baby shower or just because! *Available in 0-3 months and 3-6 months.